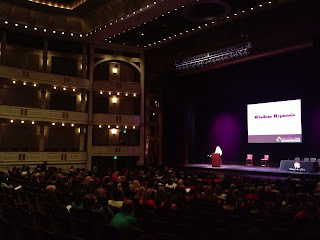 Working Women Of Florida hosted a conference on September 5th and 6th at the Mahaffey Theater in St. Petersburg, FL. I was honored to be asked to speak on the subject of fear. 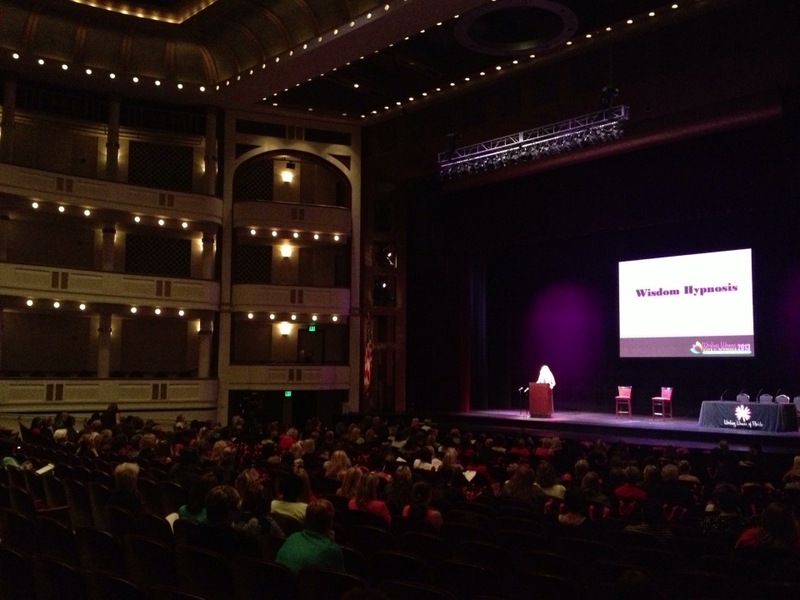 Standing on the stage with 400 women present was an awesome experience. (Notice the picture at the top of this page.) The love and energy of this group of women inspired me to keep doing what I love most. I met some pretty amazing ladies, whom I hope to share with for a long time to come. Acknowledge your fear and what it really represents for you. Is there a deeper reason for the fear? For instance, I once experienced a fear of driving that was more about a fear of success than it was about driving. Once I acknowledged that, I was ready to let that go and move forward! Awfulize those dreaded experiences. In other words, take it to the extreme. That can help you realize that things aren’t going to be quite what you imagine. If in fact they are pretty bad, you might be surprised at the tools and skills you have in place for handling the situation. Appreciate that in the past those feelings have served a purpose. Once you can accept and honor that, it is time to understand that you have outgrown other old behaviors (i.e. thumb sucking for comfort). You no longer need these limiting thoughts and beliefs. Act on your new beliefs and understandings. To decide you have overcome a fear of elevators is great, to ride in one is real victory. Find someone you trust to support you in taking those first steps and celebrate the new you! Take steps today to begin creating the life free of fear that you desire. Please, let me know your stories. I’d love to share your successes with others.